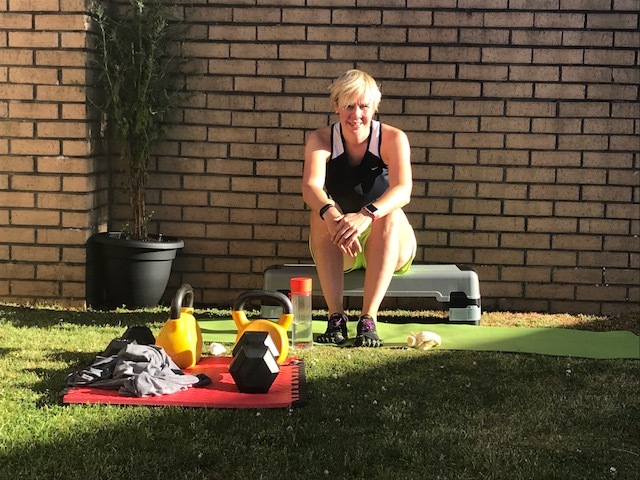 Last week was my first week of getting back into training after a couple of weeks of down time training wise… a pulled muscle and a cold… I figured I’d leave it until July to start training properly again. Get a good rest before starting my next training block. 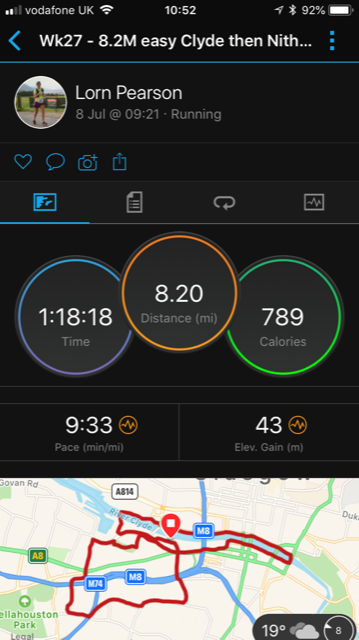 Last Monday it was 12 weeks until the Scottish Half Marathon that I’ve entered so I figured I’d get back into running and start my strength training too. 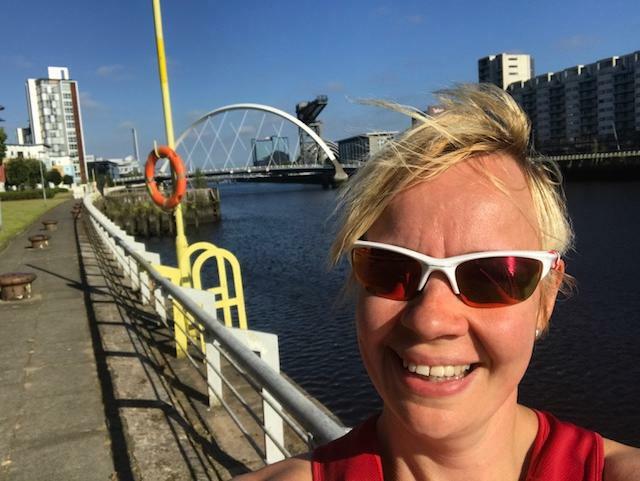 The week before I’d gently eased back into running and this last week I ran 4 times including a coaching session with Nicola (about 22 miles). I did 3 strength sessions, and felt them… but not too much. My hamstrings were sore on Friday… but nothing too painful. I had two good rest days, one of which was the day after giving blood. I could have run as I had planned to do it on the Saturday, but I woke up very tired on the Saturday and common sense told me I’d be better off resting. 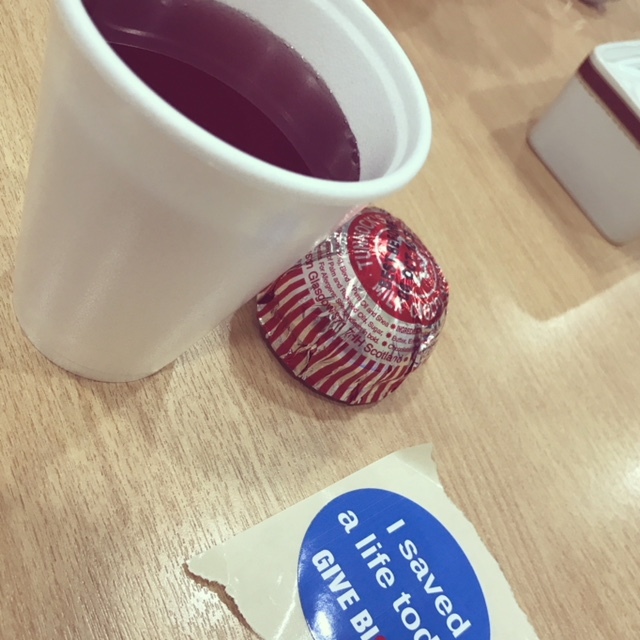 The general advice after giving blood is to take it easy, so I took heed. 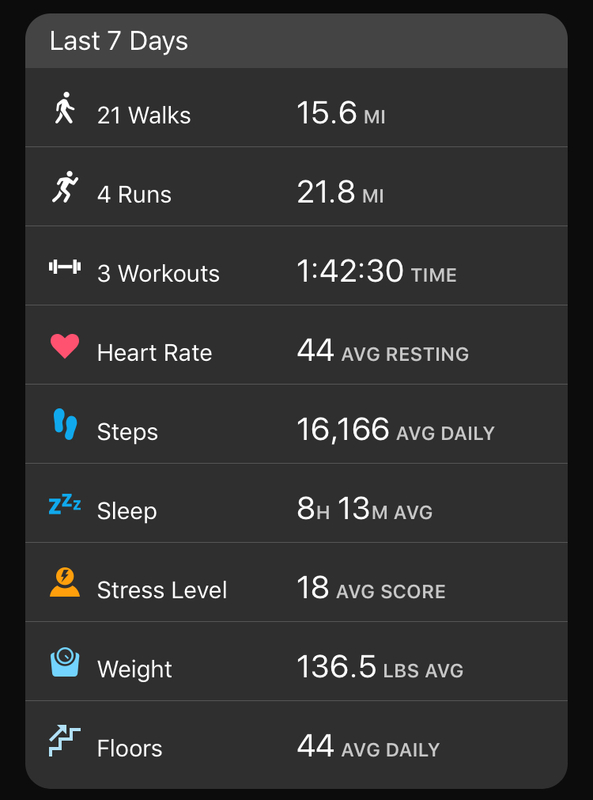 I felt good this morning, after plenty food in the last couple of days, and a good long sleep, and I took the long run (8.2 miles / 1 hr 1/4) nice and easy. Next week I’ll add more weights into my strength workouts and I have a plan worked out for 3-4 strength workouts a week… plus 3 runs. I’ll post that soon. Back in to the Garagym (or outside again) I go. 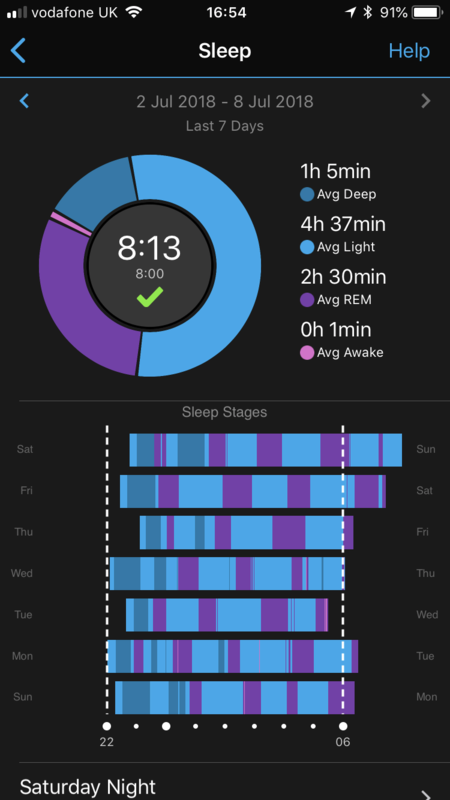 My sleep was good last week, a wee blip on Tuesday where I was possibly thinking too much and woke up through the night, but good apart from that. I tend to find if I’m exercising my sleep is good… as I’m knackered and needing the sleep! Not running and training so much in June has seen my weight creep up to just under the 10 stone mark… I still feel fine, and don’t feel too much different – maybe a bit bigger around my middle … but I’m seeing this as a good starting point to see what consistent training and eating well (ie not being my usual greedy bas**rd) will do. I’ve lost weight before by regularly exercising and being careful with what I eat, so I imagine this should work again. 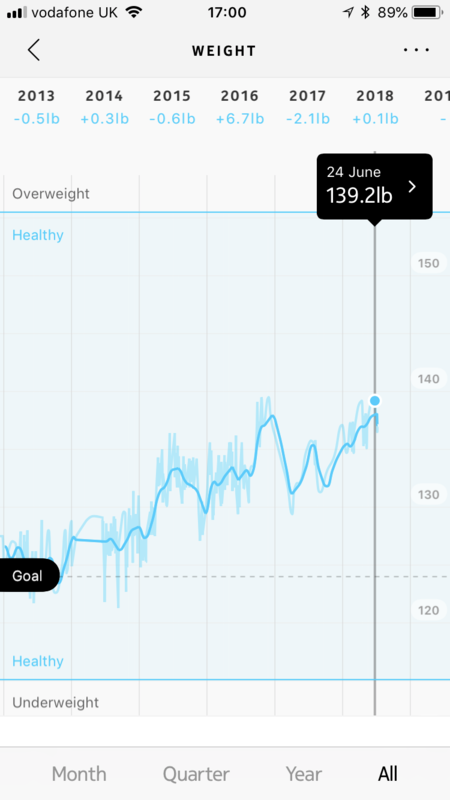 So far in two weeks, I’m down almost 3lbs, mostly fat, so the consistent exercise and not eating too much (ie not being a greedy b…) last week must have worked. 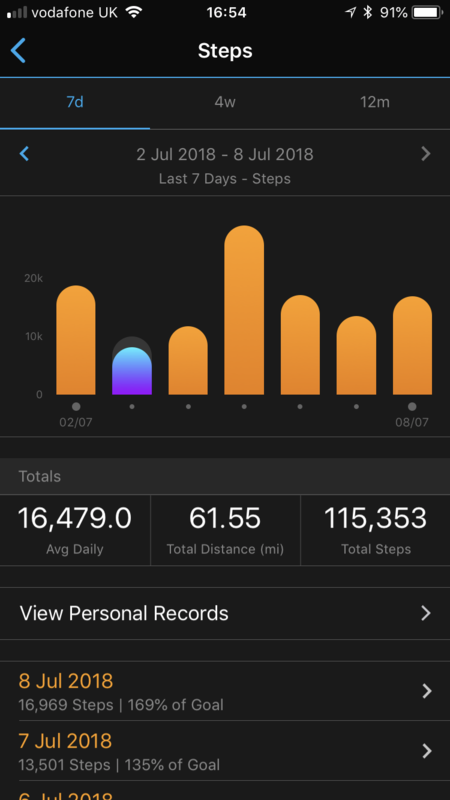 … for example on Thursday I burned around a thousand calories in running twice… and on Friday I burned a few hundred walking… this allowed me to eat more that’s 1550 calories and still be in calorie deficit. And the numbers above speak for themselves. 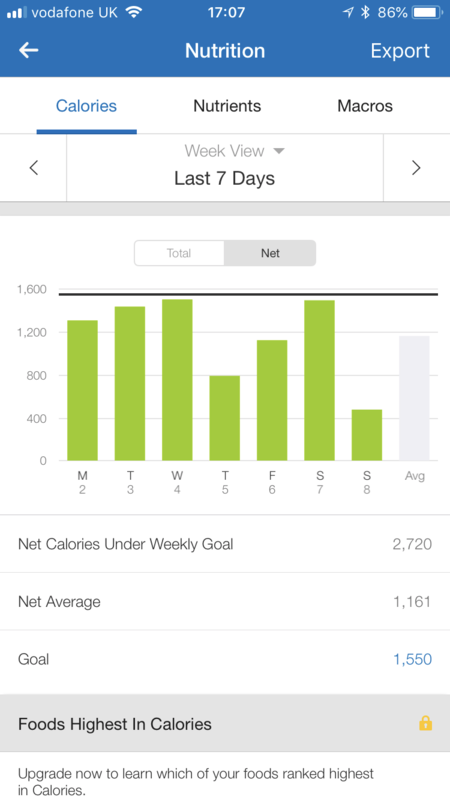 Below we see a weekly deficit of around 2,500 calories, and that’s after already taken off 500 a day to get my 1550 number. Plenty of activity, means I can eat to hunger and hopefully still lose body fat / change my body composition. 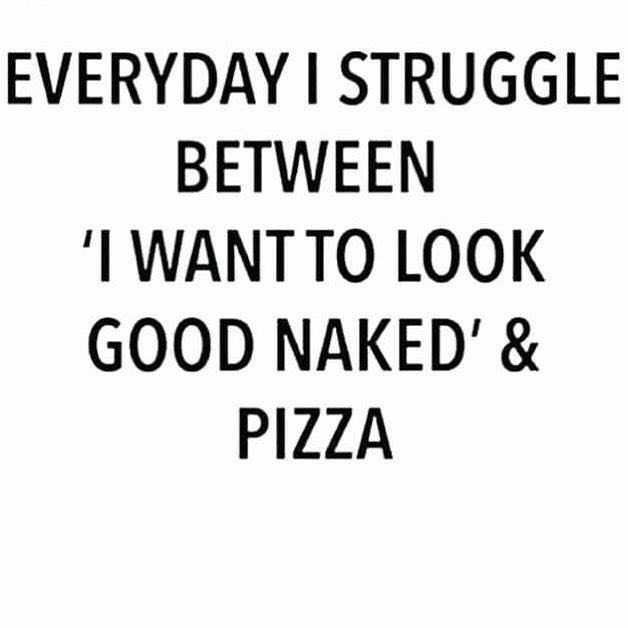 I’ll use myfitnesspal for a bit, then I should know what I’m eating to be in balance with what I’m regularly doing. For me, it’s all about getting a balance in life – and weight loss usually comes as a result of that. You don’t need diets, juicing, super shakes or cutting out food groups… you just need to burn more than you consume regularly… be careful about what you take in, and change your habits long term to make your changes stick and make a difference overall to your health and fitness. I’ll post my measurements along with my weekly updates to see if the outcome of my training and intake is what I’m after (fat loss / strength gain). 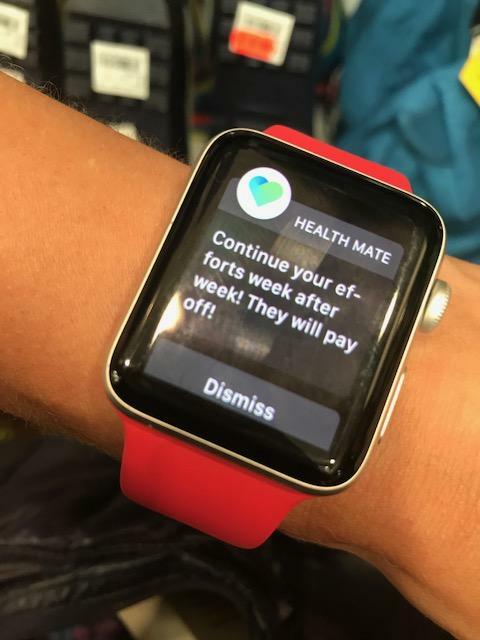 Yesterday I got this notification on my watch via my withings / Nokia health app… so I must be doing something right (and the drop in weight shows that too). My real goal isn’t weight loss… as I find that quite a frustrating and negative goal… but weight loss will hopefully come as a result of my goal – to be the best I can be, fit, strong, healthy and happy. Exercising consistently, doing training I enjoy, resting, sleeping well and socialising and being good at my job… all of these things add into me achieving my goal. And if I’m consistent with it (and not too greedy / eating too many ice creams / mars bars) weight loss should result too. What is your goal, and what are you doing that will help you achieve it? Post in the comments below.